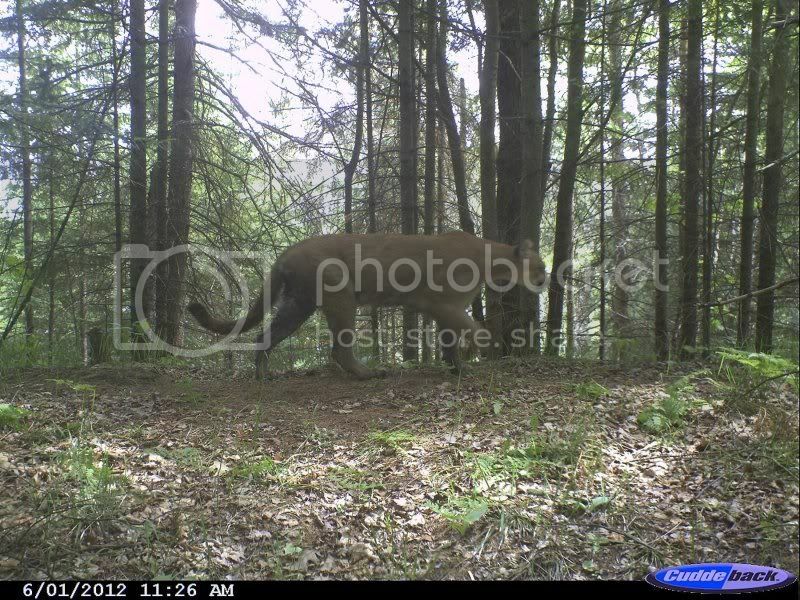 The Michigan Wildlife Conservancy says this photo, snapped in southern Marquette County, is possibly the best taken of a cougar in Michigan. I read somewhere that it was confirmed by the Mich Wildlife..
yeah, i believe it was, although the michigan DNR still maintains that there are no cougars. They are saying its just passing thru. Ive been on the lookout for a cougar or two here in I’ll. Preferably 130 lbs or less with atleast a couple hundred acres of non tillable ground!